The 2019 Edition of American Payroll Association (APA) Basic Guide to Payroll helps you stay up to date with payroll laws, answer employees’ payroll questions, and train your payroll administration staff. This one-of-a-kind resource delivers plain-English explanations of basic payroll requirements, including payroll laws, payroll regulations, and proper payroll guidelines and policies. How the 2017 tax law influences Payroll in 2019 (see Chapter 2). 2019 Social Security taxable wage base (see Chapter 8). What is new about the 2018 Form W-2 and a box-by-box explanation (see Chapter 3). Form W-4 for 2019 with a corresponding example of how to complete it (see Chapter 4). 2019 mileage rate (see Chapter 2). Percentage method withholding tables for 2019 and withholding allowance amounts for up to 10 allowances (see Chapter 5). Plans for the future Form W-4 (see Chapter 2). Explanation of an IRS proposal to aggregate information returns for the electronic filing threshold (see Chapter 2). Line-by-line example of how to complete a 4th quarter Form 941 (see Chapter 8). An update on the white-collar exemption regulations (see Chapter 2). 2019 indexed benefit amounts and pension limits (see Chapter 2). The 2019 levy tables (see Chapter 6). New law, case, and guidance about the tip credit (see Chapter 2). 2019 calendar of due dates for payroll filings and deposits (see Appendix C). Explanation of U.S. Supreme Court decision changing how to view a white-collar exemption (see Chapter 2). New option for filing employment tax returns (see Chapter 8). Return of no match letters (see Chapter 2). 2019 amounts for qualified transportation benefits (see Appendix A). A revised chapter on payroll technology, including payroll features supported by technology, security concerns, disaster recovery, and payroll solution selection (see Chapter 12). 2019 CONUS per diem rates (see Appendix D). Focus of ICE's comprehensive strategy to enforce employment eligibility requirements (see Chapter 4). 2019 indexed amounts for adoption expenses and thresholds (see Appendix A). How to enroll in EFTPS (see Chapter 8). 2019 spring and fall examination dates to take the CPP and FPC exams (see Chapter 1). Update on the IRS's efforts to prevent W-2 fraud (see Chapter 2). Earned income credit maximum amounts and cutoffs for 2019 (see Chapter 4). Updated statistics regarding income withholding for child support (see Chapter 6). 2019 QSEHRA amounts (see Chapter 2). Tax breaks offered to aid hurricane relief efforts (see Appendix A). Backup withholding rate for 2019 (see Chapter 10). Update on credit reduction states (see Chapter 9). IRS clarification on how to handle overwithheld income tax withholding (see Chapter 8). Clarification on how to determine compensable travel time (see Chapter 11). 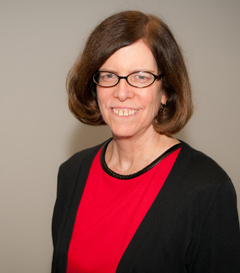 Explanation of DOL's PAID program for wage and hour violators (see Chapter 2). 2019 state minimum wage rates (see Chapter 11). Explanation of proposed regulations on the de minimis safe harbor (see Chapter 2). Change in procedure regarding lock-in letters (see Chapter 4). FICA cost savings for 2019 for independent contractors (see Chapter 10). DOL guidance on the exempt status of teachers and guidance counselors (see Chapter 11). Alternative withholding method that the IRS intends to eliminate (see Chapter 5). Synopsis of a new decision about a gig worker (see Chapter 2). 2019 supplemental withholding rate (see Chapter 5). DOL guidance about garnishment of lump-sum payments (see Chapter 2). Updated directories of federal and state agencies (see Appendix B). Temporary extension to the exemption to file a new Form W-4 within 10 days if the number of allowances decreases (see Chapter 4). Tips from the IRS to protect computers, email, and other sensitive data (see Chapter 2). TIGTA's suggestions for improving the lock-in letter process (see Chapter 4). Tax relief for victims of disasters (see Chapter 2). Revised Glossary of payroll terms (see Appendix F). IRS priorities for 2019 (see Chapter 2). 2019 Circular E and IRS Publication15-B (see Appendix E). 2019 Rates at a Glance (see Chapter 2). 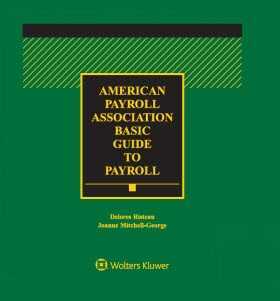 The American Payroll Association Basic Guide to Payroll, 2019 Edition, delivers expert answers covering all of these issues—and many more! What’s new in payroll laws, payroll regulations, payroll cases, IRS announcement regarding payroll, Department of Labor pronouncements about wage and hour laws, and payroll trends? How does Payroll comply with federal and state wage-hour laws? What are the federal and state requirements for keeping payroll records? Are there limitations about how to pay employees or can the employer decide to mandate direct deposit of wages? How do I implement the 2019 Federal payroll withholding tables? How do I complete and file the 2018 Form W-2? What are the advantages and drawbacks of hiring workers who aren’t employees? How does Payroll handle withholding from Gross Pay for garnishments, federal tax levies, and child support orders? What documents must an employer collect from an employee? How does Payroll implement Form W-4? What are the due dates for federal employment tax returns? What are the CONUS per diem rates for 2019? What are the federal employment tax ramifications and the federal wage and hour consequences of providing fringe benefits to employees? What are the terms of art and acronyms in Payroll? What’s new in payroll technology? How does payroll accounting work?